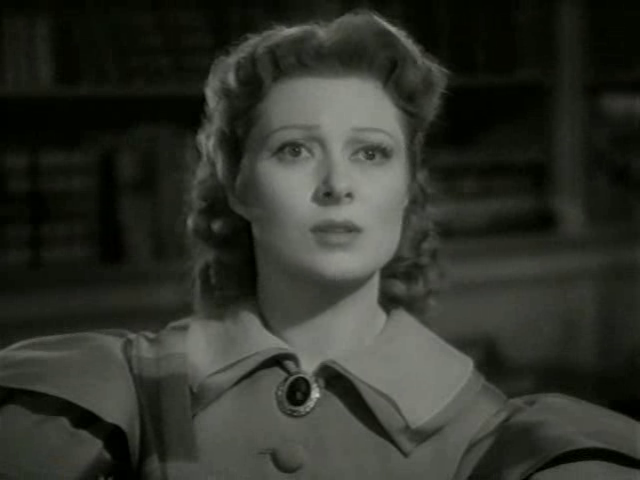 In 19th century England, the mother (Mary Boland) of five young women — headstrong Lizzie (Greer Garson), beautiful Jane (Maureen O’Sullivan), musical Mary (Marsha Hunt), and uniform-loving Lydia (Ann Rutherford) and Kitty (Heather Angel) — attempts to marry them off, given that a distant relative, Mr. Collins (Melville Cooper), will inherit their estate once her husband (Edmund Gwenn) passes on. 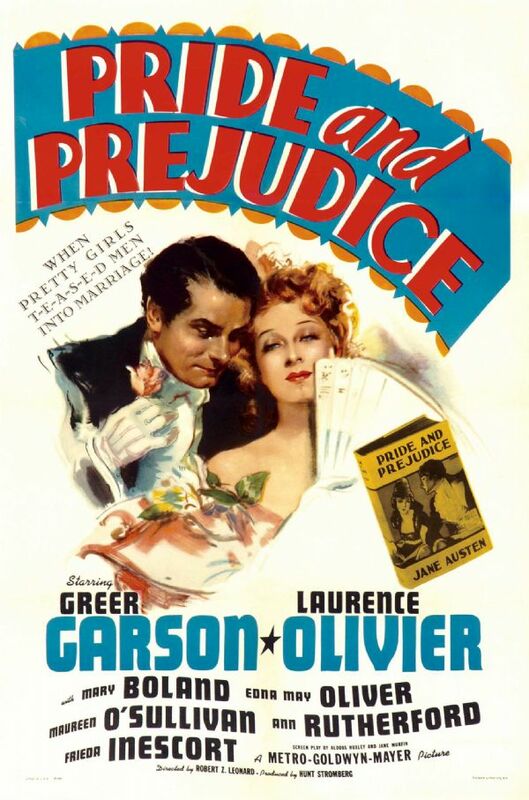 Jane soon becomes infatuated with wealthy Mr. Bingley (Bruce Lester), while Lizzie fends off advances from Mr. Collins, and engages in heated discussions with a would-be suitor, mysterious Mr. Darcy (Laurence Olivier). 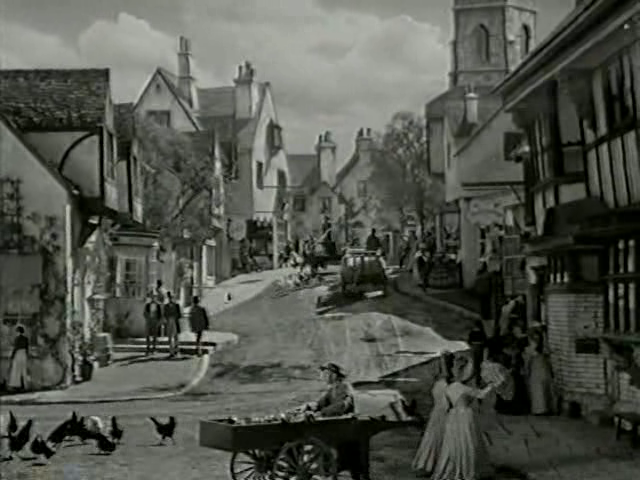 While literary fans may continue to quibble over the details of how Jane Austen’s beloved novels have been translated to the screen over the years, it’s generally acknowledged that this early MGM adaptation of Austen’s most beloved book deserves recognition as one of the best, and is notable for sparking a renaissance of interest at the time in Austen’s work. Despite the decision to place the story within a slightly later historical setting — and the inevitable truncation of various thematic elements from the novel — the film feels relatively faithful to the spirit of the book, merging more serious social concerns (a family will be forced to hand over its entire estate simply given lack of a male heir!) with plenty of levity, most specifically in the character of Mr. Collins (who is accompanied by his own musical motif whenever he enters the screen). The complex but never too-complicated plot — revolving around class relations, romantic infatuations, and hidden secrets of character — is portrayed in such a way that even modern audiences will be able to understand the nuances of life in Austen’s unique historical milieu. Yes, as an enjoyable literary adaptation. Listed as a film with Historical Importance and a Personal Recommendation in the back of Peary’s book. First viewing. A once-must, as one of the better Hollywood adaptations of classic literature. Since ‘P&P’ is, unfortunately, a novel I haven’t read, I had to ask around a little re: what some who had read the book think of this particular version. I discovered that several concur with what is brought out in the assessment – though I have read elsewhere that there are those who only grudgingly approve of what was done to Austen in 1940. Fewer, no doubt, disapprove of the enormously popular 1995 BBC version – which I also saw. I remember hearing people going absolutely gaga over it – mainly for its faithfulness to the novel…and the yumminess of Colin Firth (tho I was personally immeasurably impressed by Jennifer Ehle). But, no matter what, a film must always ultimately be seen as a thing apart. And, with that in mind, director Robert Z. Leonard’s version with Garson and Olivier is altogether pleasing and impressive as entertainment. Garson is indeed charming as the glue of the piece. Olivier, surprisingly, turns in a commendable performance (largely because it’s not hammy). And Gwenn, I think, stands out admirably as the father in the female clan. Bingley: You have talked to me about all your friends in Meryton without saying one malicious word. Mary: Oh, but they’re all such agreeable people, so kind and pleasant. Bingley: That never prevented anyone from talking maliciously.